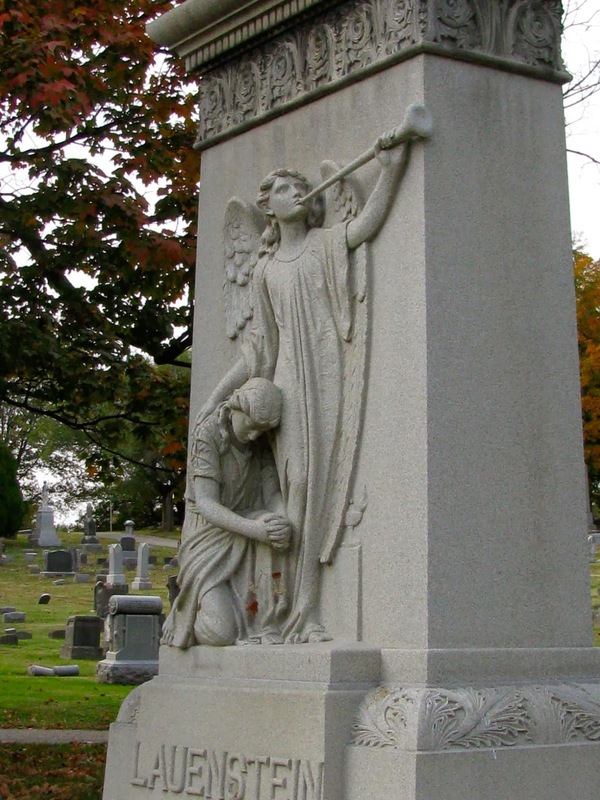 Throughout history it was believed that a cemetery had an appointed guardian; a soul who was left there to protect the cemetery grounds and the departed, not only from visiting humans, but from evil forces as well. 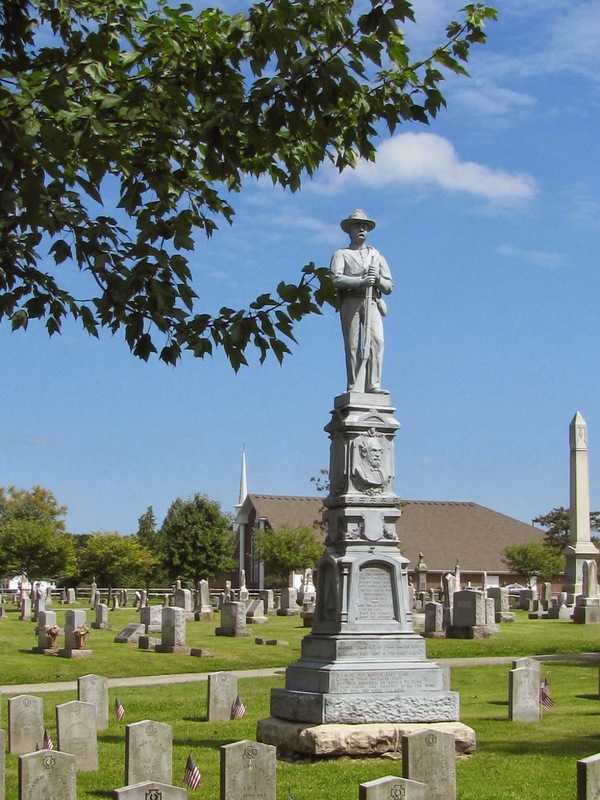 Today you can take a stroll through a cemetery and find a few graves and monuments that are being “guarded” by stone sentries. These may take many forms including lions, dogs, eagles, angels and soldiers. Cemetery and grave guardians are never caught looking down as many other statues are in mourning, but a guardian stands with head erect, watching over those they protect. Here are just a few to look for. Lions are a symbol of power and strength. They are usually found in pairs, guarding the entrance of a mausoleum against intruders and evil spirits. 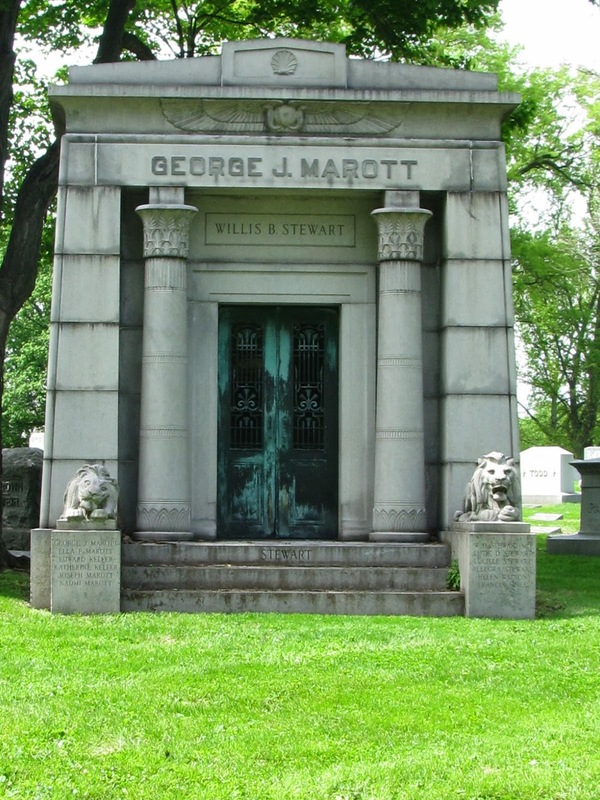 They are usually shown with one resting while the other keeps watch over the grave. The lion is a noble animal and symbolizes the courage of the departed. The sphinx closely resembles the lion. It is composed of the head of a human and the body of a lion. A sphinx represents the strength and bravery of the deceased. These are also found in pairs at the entrance to a tomb, guarding against evil spirits. Eagles can be found guarding Civil War military graves. They are strong birds that represent faith, courage and generosity of spirit. A double eagle is usually found at the grave of a 33rd Degree Mason. A dog standing watch at a gravesite symbolizes loyalty, fidelity and vigilance. But there are also reports of ghostly black dogs, known as grims, which guard cemeteries. These shadow dogs are seen mainly in southern US cemeteries and graveyards in Europe. The black dog is known as guardian over the entire cemetery and, according to legend, will chase people out of the cemetery if they are there after dark. 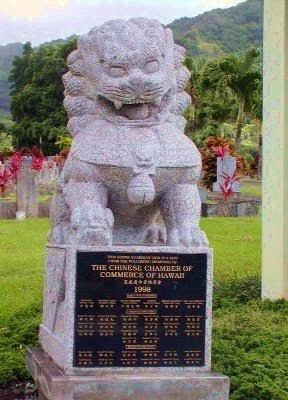 Foo Dogs are found at the gates of many Chinese cemeteries. These guardians are a combination of a dog and a lion, and usually are mated in pairs. The male and female Foo dogs guard entryways to tombs and mausoleums. The male is usually located on the right with a ball under his foot, and the female is on the left holding down a playful kitten under her paw. They are said to mimic our roles in life and show that these ties continue after death. Elk are found at the site of B.P.O.E. community graves (Benevolent Protective Order of Elks). This fraternal organization was popular during the latter half of the 19th century and first half of the 20th century. Angels intercede for the benefit of humans to God. 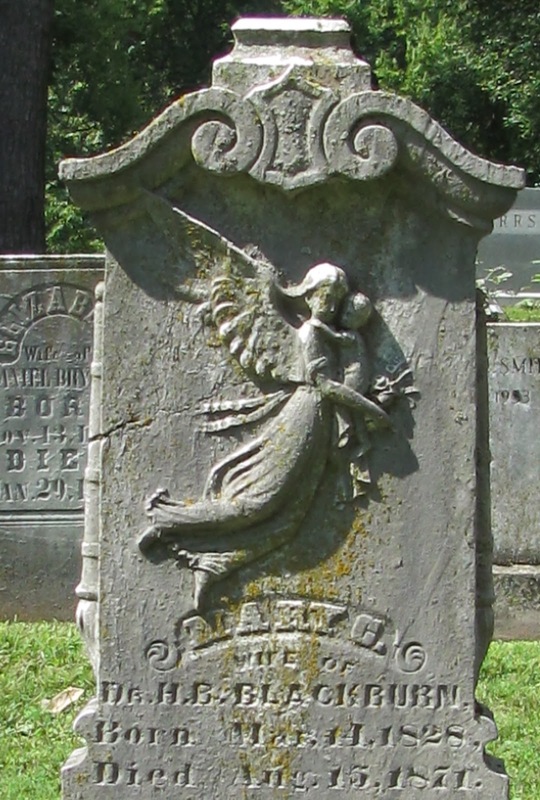 While many are shown in mourning, some angels are shown carrying a child or leading a person toward heaven. In this role, the angel is acting as a guardian of that soul as it is escorted to heaven. 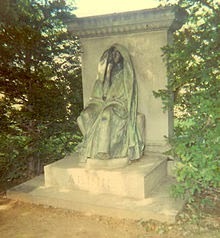 The mysterious, hooded and draped figure can be found sitting or standing in front of the grave it guards. Several versions of this guardian can be found in the U.S., and many have names. 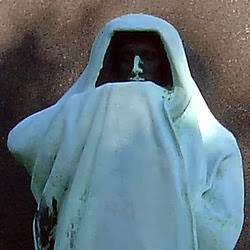 Other hooded sentries can be found in Bellefontaine Cemetery in St Louis, and in the rear courtyard of the Dolley Madison House in Washington, D.C. 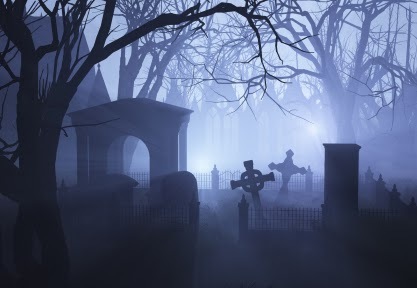 According to legend, the figures walk the cemetery at night. 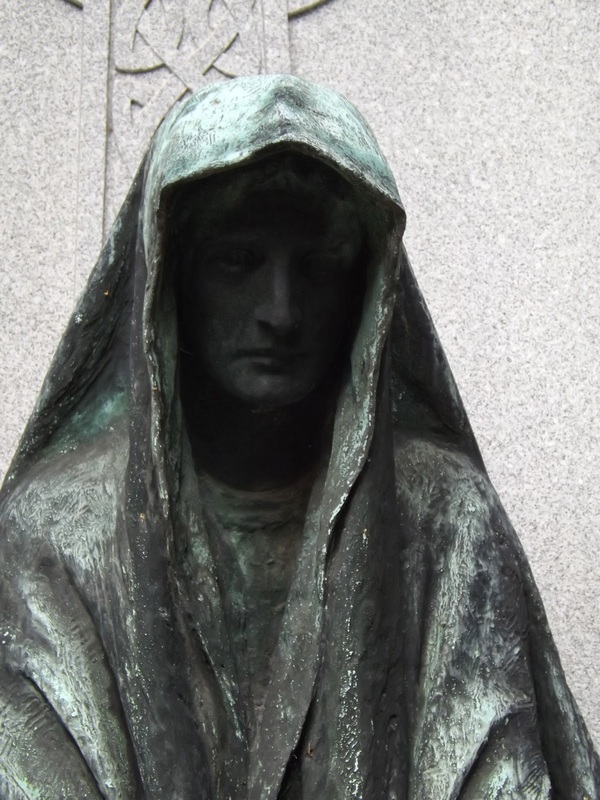 There are also tales that if you look into the eyes of the hooded figure, you will see your own death. Most military cemeteries have guardians keeping watch over the soldiers. 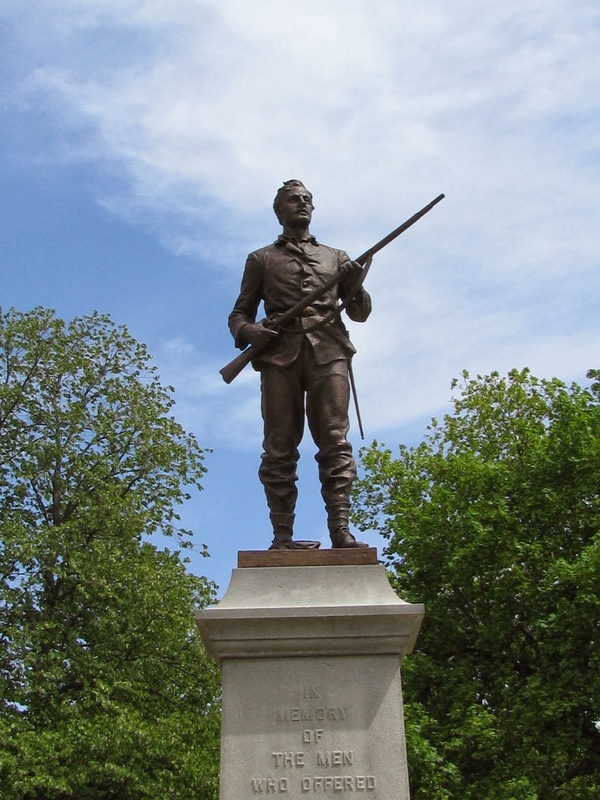 Usually it is a soldier standing with his gun, gazing out over his band of brothers. 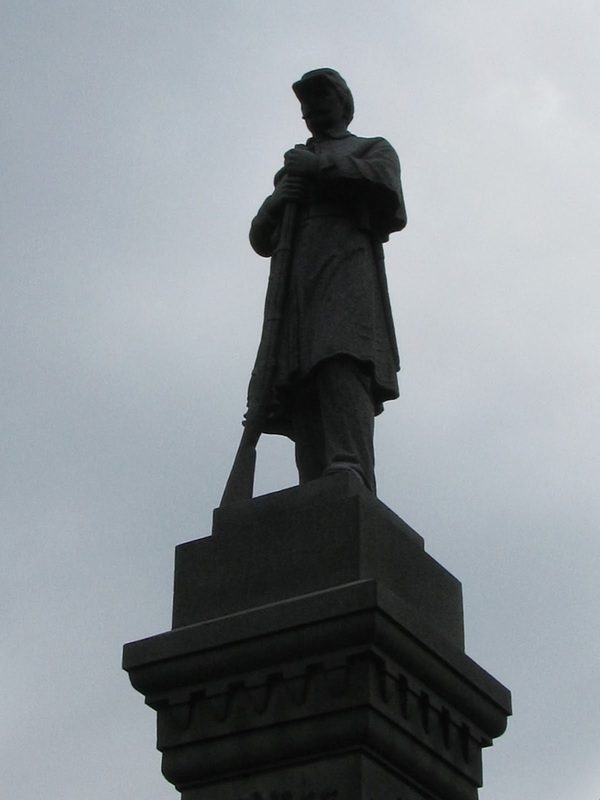 Soldiers are especially popular in Civil War cemeteries, both at Union and Confederate graves. 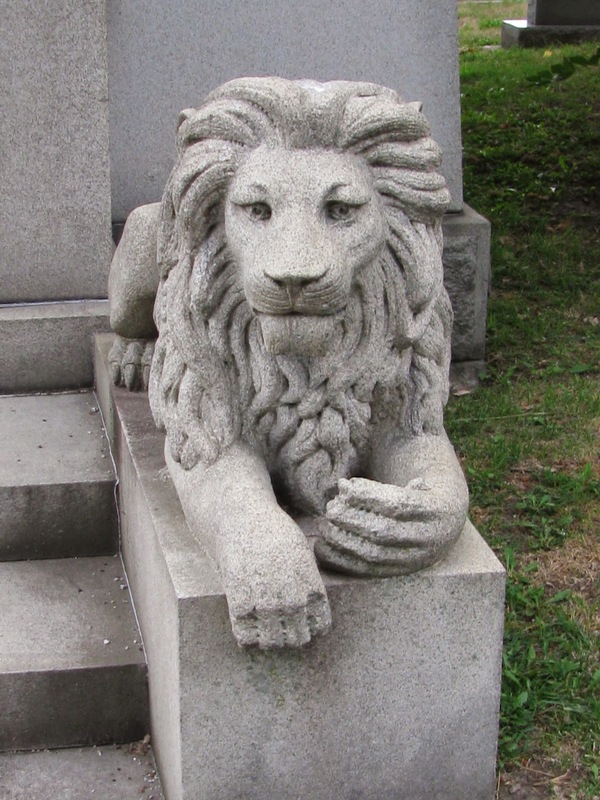 And then there are the “other” cemetery guardians. 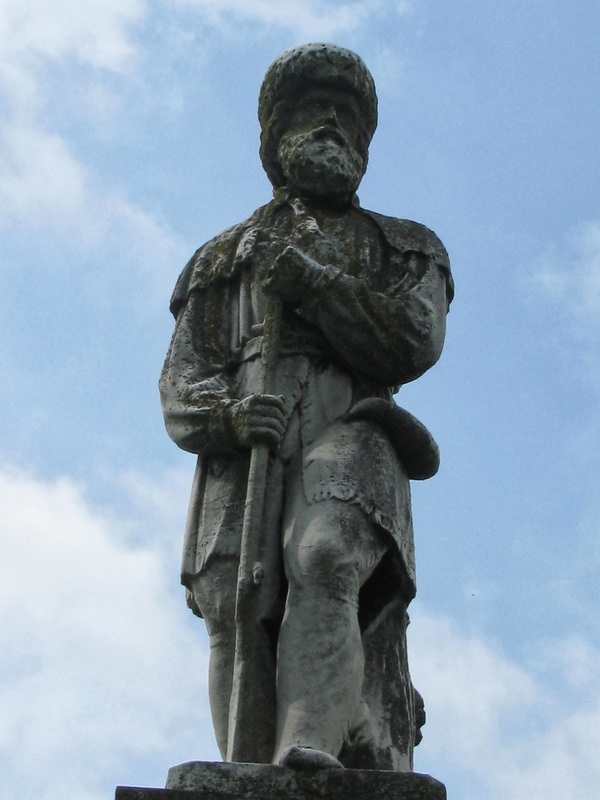 In Europe, the guardian was considered to be the first person buried in a new cemetery. Unfortunately, it is said that some people were selected to be the guardian and were then buried alive in the cemetery in order to achieve it. The same is true of black dogs – a black dog may have been selected to guard a cemetery and was then buried alive in order to denote it as guardian. Could this be why people have reported hearing disembodied voices in cemeteries telling them to leave? 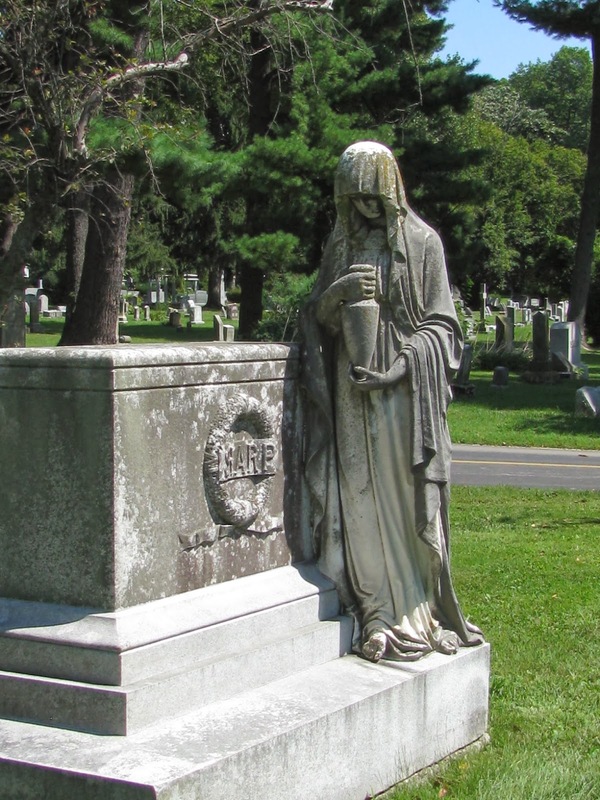 Possibly it is the cemetery guardian vigilantly making sure no one trespasses upon the graves of those interred there – a guardian spirit who takes “rest in peace” quite literally. Very informative post and very well done... The figure of "Eternal Silence" was particularly startling... it gave me a chill! Really interesting post --- and nice photos, too!